True international collaboration: Russian-produced poloidal field cable was jacketed and compacted at Criotec (Italy) before being spooled to await testing. The conductor will then return to Russia for the next stage in the poloidal field coil manufacturing process. It's common knowledge that close international collaboration is one of the key characteristics of ITER and that responsibilities within the project are broadly distributed among its participating members. 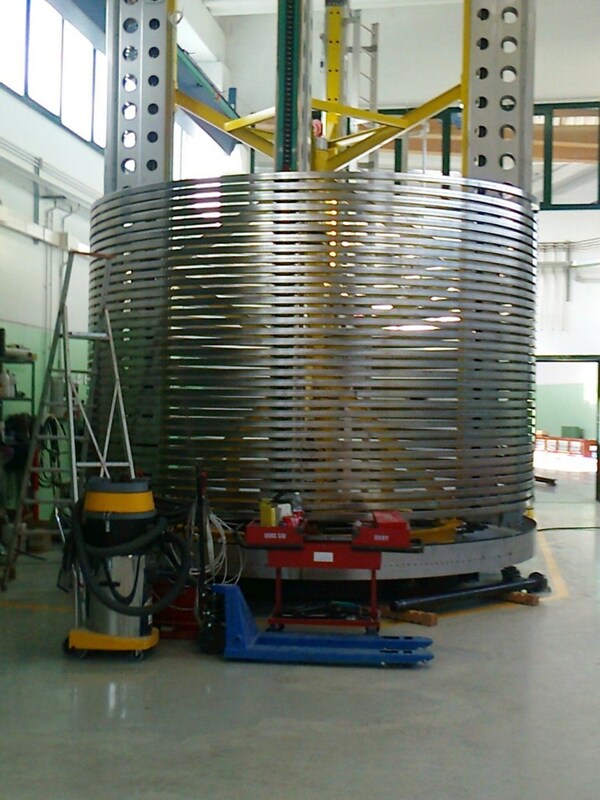 Early in February 2013, the Italian company Criotec completed the manufacturing of the first copper dummy conductor for the PF1 poloidal field coil using cable that had been manufactured in Russia. These works are being carried out within the framework of the bilateral agreement concluded between the European and Russian ITER Domestic Agencies. The cable—composed of superconducting niobium-titanium (NbTi) strands produced by the Chepetsky Mechanical Plant in Glazov, Udmurtia (Russia)—passed the jacketing and compaction stages in Italy. The copper dummy, after spooling, will pass all the tests required by the ITER Organization before shipment to the Efremov Institute in St. Petersburg to be integrated into the PF1 double pancake dummy. Completion of the first copper conductor dummy proves the complete readiness of all parties to begin batch production for ITER's poloidal field conductor. The Russian Federation is responsible for manufacturing 2 copper dummies, 1 superconducting dummy, 9 superconducting unit lengths for the PF6 coil, and 17 unit superconducting lengths for the PF1 coil.